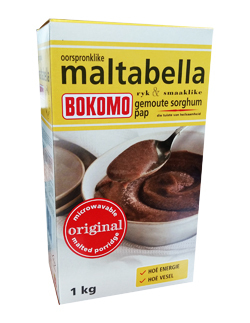 Maltabella porridge is made from sorghum grain; it is great tasting, rich, filling and healthy. Being naturally high in carbohydrates, protein and low in saturated fats Maltabella has been a trusted brand with South Africa for over 50 years. This is quick an easy to prepare either on the stove or in the microwave. I enjoy Maltabella every morning, it gives me energy and good in fibre. maltabella is a wholesome best ever winter breakfast, creamy smooth and keeps you full for all of the morning. I look forward to making maltabella for its easy and always taste good.